Kotzk Blog: 213) AND WHAT DOES RASHI SAY? 213) AND WHAT DOES RASHI SAY? An early manuscript of Rashi's commentary found under the cornerstone of the old synagogue in Mainz when it was demolished in 1850 to make way for the new synagogue. In Torah literature, we sometimes find that a work ascribed to a certain author, was in fact authored by someone else. Other times, the author is not the exclusive author and the work may have been the result of multiple authors. We see this with classical books like Halachot Gedolot and even the more contemporary Mishna Berura. It is, however, most surprising to discover that perhaps the same may be said about sections of Rashi’s commentary on the Torah. In this article, I draw extensively from the research of Dr Deborah Abecassis who spent five years researching various versions of Rashi’s commentaries in over thirty different Rashi manuscripts and in over fifty manuscripts of the Tosafists which contained texts of Rashi. I also draw from Rabbi Dr Shnayer Leiman and his profound research on the Rashi texts. The research shows that Rashi’s commentary may be a lot more complicated than most would imagine. It appears that Rashi’s commentary continued to expand and develop during the two generations after Rashi’s death, and that significant portions were apparently added by the Tosafists who succeeded him. Unfortunately, Rashi’s original manuscript does not exist. The earliest extant manuscript of Rashi’s commentary is dated as late as 130 years after his death. This gap of 130 years is concerning because the direct link back to Rashi is not there. Rashi’s popularity did not help matters either. So many people wanted to read his commentary and as a result, manuscript copies spread far and wide in a very short time. More than any other commentary text, Rashi manuscripts were well circulated in all communities. This created a problem. Rashi’s original writings were becoming less and less distinguishable from the additional commentary. The challenges presented by enthusiastic students and scribes were obviously not unique to Rashi but they became more extreme and acute because of the popularity and ubiquitous nature of his commentary. This was obviously an issue because even before Rashi’s time, Rabbenu Gershom (950-1028) - who lived in Mainz, Germany and who headed the Ashkenaz community - felt motivated to issue a decree that no one should add to or ‘correct’ a text they were copying. Following the invention of the printing press in the 1400s, Rashi’s commentary on the Torah was the very first Hebrew book to be printed. This added to his popularity. If the earlier proliferation of manuscripts created problems, the mass production of printed versions created even more difficulties because it highlighted the innumerable differences between the printed versions and the hundreds of earlier Rashi manuscripts. And, the first printing of Rashi took place more than 350 years after his passing. Rabbi Leiman makes the startling point that in this case, no two editions printed the same text! The printer, R. Moshe Alkabetz wrote, in the colophon of the 1476 edition of Rashi’s commentary, that he ‘relied on logic’ to eliminate errors. Unfortunately, there is no record of what changes he made and this again added to the complexity of an already complex matter. Again, we just don’t know what changes were made, because he didn’t inform his readers. Nor it is clear just how he knew how to restore all of Rashi’s commentary back it to its ‘pristine glory’. Even the modern printed editions that minimally provide alternate versions in the notes, do not express to the reader the true degree of uncertainty and unreliability in the text. Rashi’s grandson, Rashbam (and others), attest that Rashi’s original commentary had maps and diagrams. These only exist, to some extent, in a limited number of printed versions. Professor Mayer Gruber explains that originally the scribe would have used a copy of Rashi’s commentary which included diagrams. In some manuscripts, the scribe would write ‘kazeh’ or ‘like this’ before leaving a blank space for an artist to later fill it in. However, that space was often left blank. Then, when they were copied again, the spaces were left out and the word ‘kazeh’ was removed as it was now redundant. Professor Hananel Mak from the Department of Talmud at Bar Ilan University shows, as an example, how a well-known section of Rashi’s commentary may not have existed at the time of Rashi. In Genesis 32:5, Jacob, tells his twin brother, Esau, that he had dwelt or sojourned with their mutual uncle Lavan. Rashi comments that ‘sojourned’ (garti) comes from the root ger which means ‘stranger’. Thus Jacob is subtly suggesting that he did not rise to a position of great status while living with Lavan and therefore there is no reason for Esau to hate him because their father’s blessing (that Jacob will dominate Esau) was not fulfilled. Then the commentary continues with a ‘davar acher’ (another interpretation): ‘Sojourn’ (garti) has the numerical value of 613 (corresponding to the 613 commandments) – implying that although Jacob sojourned with wicked Lavan, he did not learn from his evil ways and he continued to maintain his righteousness by observing all the commandments. This was Jacob’s implicit warning to his brother Esau not to attack him because his (Jacob’s) righteousness was still intact. Hananel Mak shows, however, how the second segment of Rashi’s comment could not have been part of his original commentary. The second section, beginning with ‘another interpretation’, did not exist in six of the most authoritative Rashi’s manuscripts which Mak consulted. It only began circulating during the 16th century (which is four centuries after Rashi’s passing). Yet, once it got printed in the Mikraot Gedolot editions of that same century it became indistinguishable from the other Rashi commentaries. Although much of the populace was generally blissfully unaware of issues with the printed versions of Rashi’s commentary, there have been individual scholars who have attempted to study the earlier manuscripts to get closer to the original Rashi. 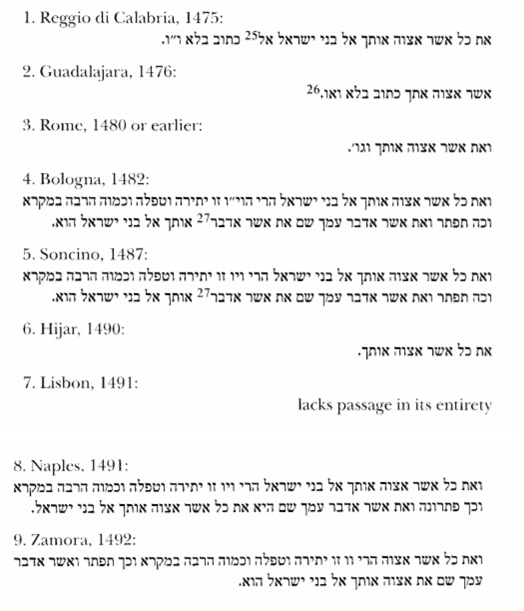 In the early 1500s, Avraham Baqrat collected early manuscripts and tried to collate them but his methodology was rather haphazard. He had access to manuscripts that may no longer be extant but the criterion for his selection of the variant texts is unclear. In 1866, R. Avraham Berliner also tried to find a more accurate Rashi text and published a new edition of the commentary. In 1982, Mosad haRav Kook, in an attempt at improving on R. Berliners’ work, published a new edition of Rashi’s commentary under R. Charles Chavel. This edition had access to editio princeps or first publications of Rashi, which the Berliner edition, although earlier, did not have. These attempts acknowledged that Rashi texts were problematic in that so many different versions existed. However, it has been suggested that the most accurate way of trying to reconstruct a text as close as possible to Rashi’s actual text would be to examining the writings of the Tosafists. Generally speaking, the Tosafists wrote anonymously. Many of them were part of Rashi’s family, or students of students. They considered their work to be the extension of their teacher Rashi, and felt comfortable with adding comments here and there in furtherance of the culture of scriptural elucidation. This created a milieu which over time made it very difficult to know exactly what Rashi wrote himself and what was added later and by whom. This, as mentioned was compounded when the printed versions began to appear. 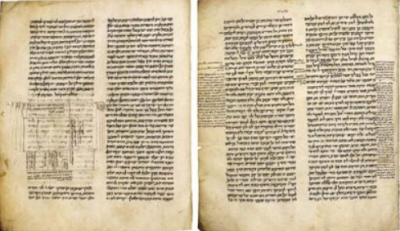 “...the text of Rashi utilised by the Tosafot was significantly different from the [later] printed versions. Interestingly, although the Tosafists inadvertently contributed to much of the confusion surrounding the original Rashi manuscripts, they could - nevertheless - be part of the solution to recapture aspects of the authentic Rashi texts. It is possible to reconstruct a version of Rashi’s commentary, based on the citations of Rashi which are found in the writings of the early Tosafists. These citations would record the most accurate versions of Rashi’s commentary as they are the closest to his lifetime. But of course, even if and when this work is done comprehensively, it is unlikely that it will ever gain acceptance in the wider community as they have come to trust the text they have always known in the popular printed editions they are familiar with from childhood. Part of the challenge of understanding Rashi is that although he said that he only came to expound on the simple and literal ‘peshat’ of the Torah - the fact is that around three-quarters of his text is Midrash (non-literal). One way to reconcile what Rashi says about only expounding on the peshat, with what is actually printed, is to suggest that some of the later commentators included Midrashic material which later got conflated with his original commentary. However, it’s not as simple as that because Rashi’s grandson, Rashbam writes that his grandfather told him that had he had more time, he would have written other comments more in keeping with the literal peshat! This implies that he was aware and fully cognizant of the large Midrashic content within his commentary - unless he was hinting that already in his time he knew of the ‘additions’ to his text. Either way, the true story behind the original text of the most popular commentary on the Torah, remains to be discovered. Where, although it is assumed that Shimon Kayarra compiled it - it may instead have been authored by Yehudai Gaon. See here. Where, although it is assumed that the Chafetz Chaim authored the entire Mishna Berura exclusively, his son contributed certain sections as well. Just how much is uncertain. See here. See: Reconstructing Rashi’s Commentary on Genesis from Citations in the Torah Commentaries of the Tosafot, by Deborah Abecassis. See: Was Rashi’s Torah Scroll Flawed? by Shnayer Leiman. Amudim beToldot haSefer haIvri, by Yaakov Spiegel. Not to be confused with the author of Lecha Dodi, R. Shlomo Alkabetz. A colophon was used in the early printed books and still followed the tradition of handwritten manuscripts where the printer attested to the authenticity of the text. See: What Happened to Rashi’s Pictures? The Bodleian Library Record 15.2, by M. Guber. According to Mak, the Midrash about the numerical value of garti only begins to appear three Midrashic works (Lekach Tov, Bereshit Rabati and Midrash Aggada) from the 11th or 12th century. And although other pre-sixteenth-century commentators quote it, not one of them claims to have read in Rashi’s commentary, although they usually acknowledge Rashi by name. Besides the well-known Tosafist commentators like Rashbam, Yosef Kara, and Bechor Shor. Geschichtr und Literatur, Zunz, Berlin 1845, p.64. All popular texts until the invention of the printing press have various deviations. In particular, this is true of the Torah.